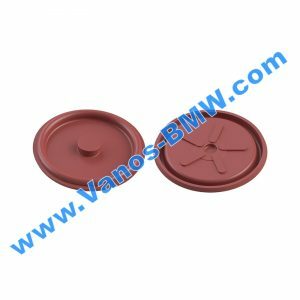 NOW WIDELY REGARDED AS THE WORLD’S BEST E46 SUBFRAME REINFORCEMENT PLATE KIT NEW. 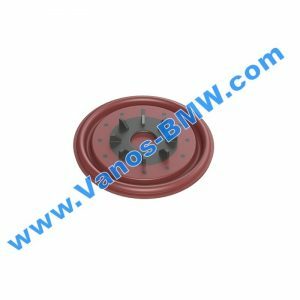 Our engineers has developed a kit to offer a cost effective long term solution to the well-documented problem of floor cracking which the BMW E46 series suffers. 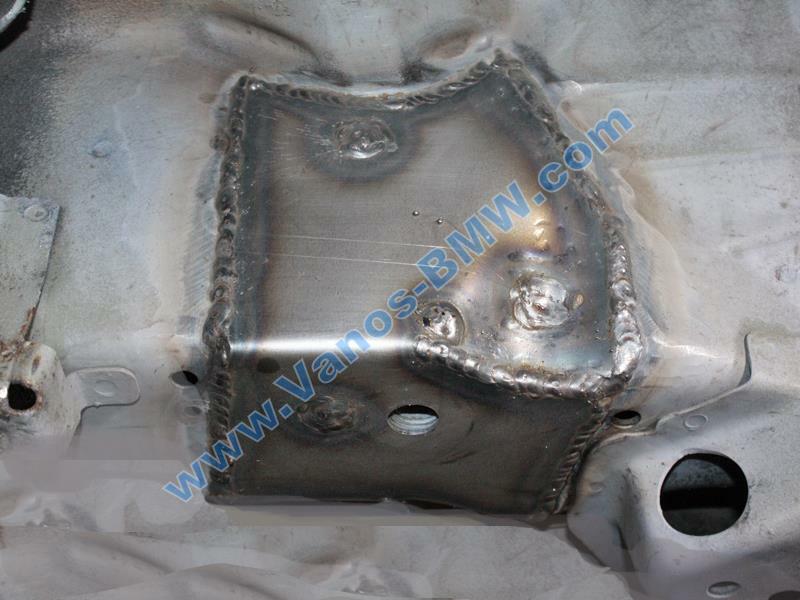 The E46 Rear Subframe Reinforcement kit has been designed to provide the best repair and reinforcement option available on the market, regardless of crack damage, age, mileage, service history or modifications made. 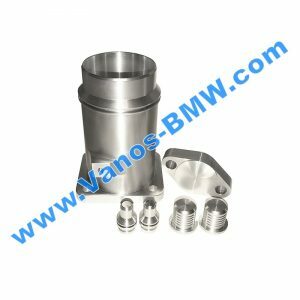 The kit is universal to the entire E46 BMW 3 Series model range regardless of body type, transmission or engine size / type. 100% positive with great reviews from customers and other workshops using our precision made reinforcement plate kit from all over the world. 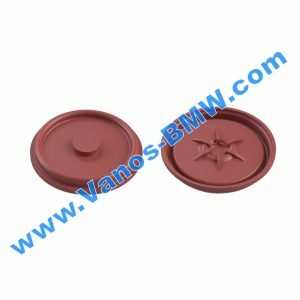 The kit consists of 8 individual plates, tailored to specific locations on the E46’s chassis, along with a set of comprehensive fitting instructions. Up until then we were using reinforcement plates from the USA (like everyone else had to). 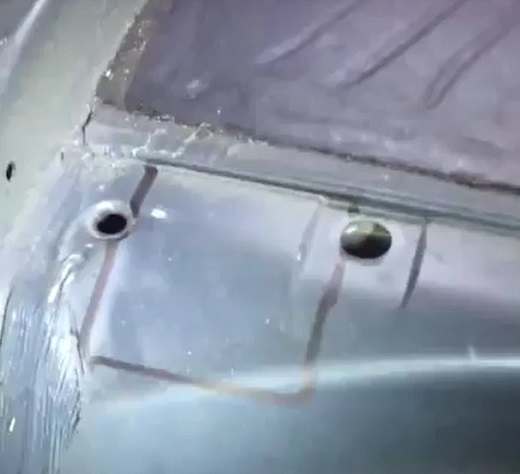 So we set about designing and producing our own reinforcement plate kit for cars like this one with moderate damage/cracking. 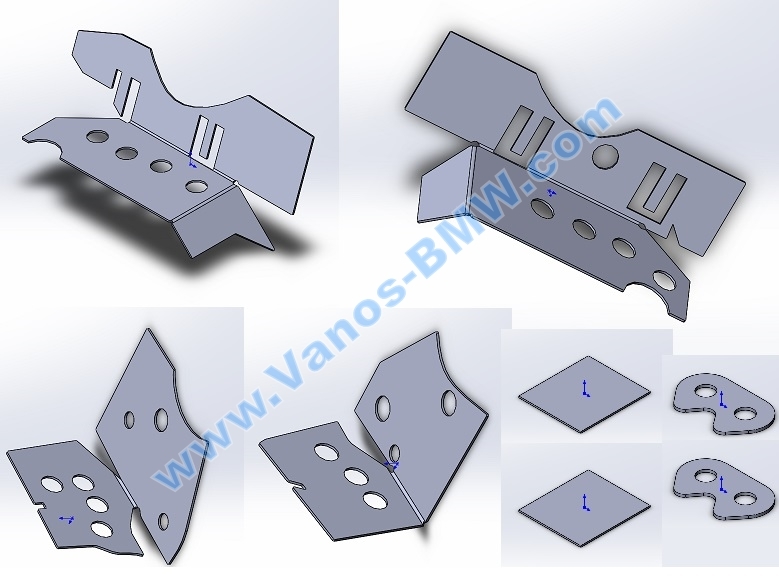 We purchased a brand new floor panel from BMW (Rear Axle Carrier Panel) and carried out drawings, templates, CAD models, leading on to getting laser cut prototype plates, further stress analysis, engineering consultancy with an Aerospace Repair Design Engineer, and several incarnations spanned over months of work to perfect these plates. Every kit is precision folded in house using industrial folding equipment and digital protractors. A perfect hole line up and plate fit is achieved every time, each kit is individually checked to ensure the plates fit our master jig set before they are used in the workshop or sent out to a customer. 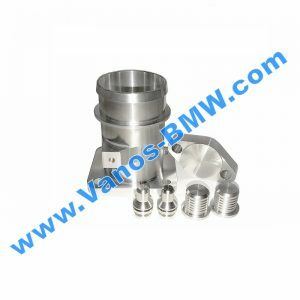 E46-sub-001 – QTY.1 – Located at the NSR Differential carrier mounting location. 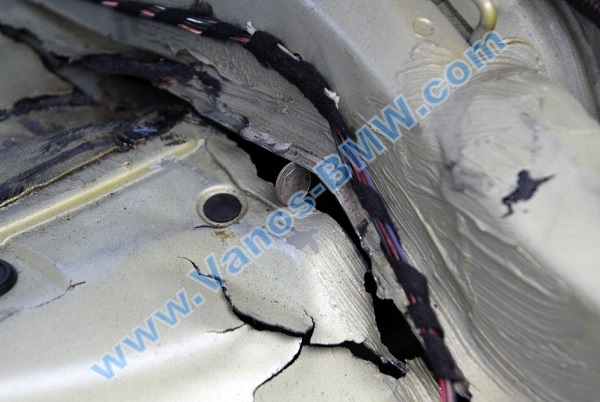 This is the most problematic location and the area where most cracks and even material separation is found. E46-sub-002 – QTY.1. 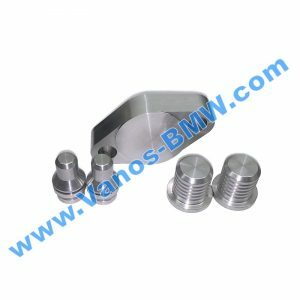 – Designed specifically to follow the contours of the OSR subframe Differential carrier location face/area. E46-sub-003 – QTY.1. 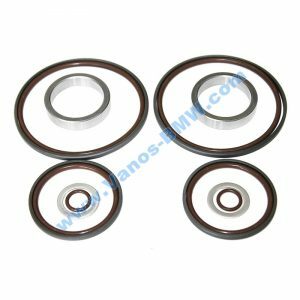 – For use at the OSF Differential carrier location face/area. 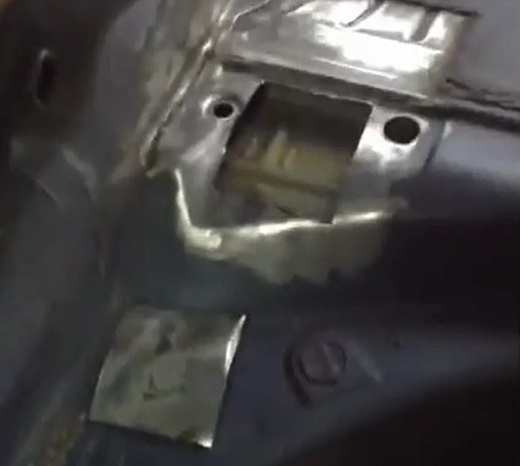 This is the other major problem area on the sub-frame and where cracking is again most common. 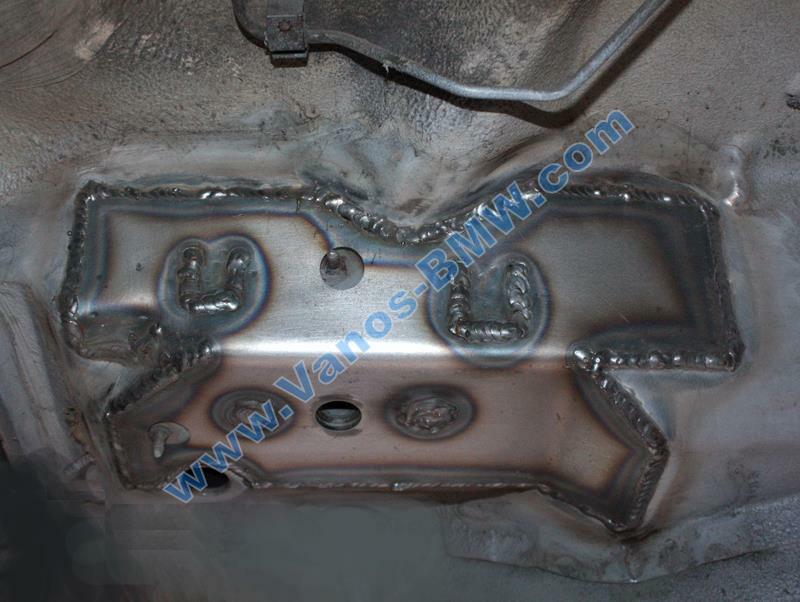 This plate has been design to dramatically strengthen the OSF location face, spreading the torque loading and unloading over a far greater area, of a stronger material to the original subframe. E46-sub-004 – QTY.1. 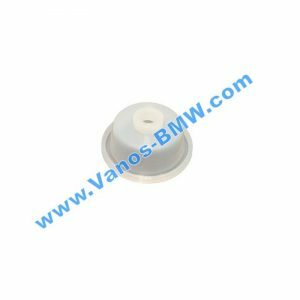 – Tailored to fit the NSF Differential Carrier location face/area. 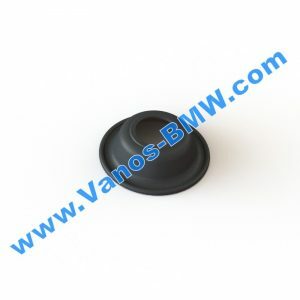 E46-sub-005 – Qty.2 included in the kit but is fitted optionally, they allow the boot floor to be cut from inside the vehicle to gain access to the internal bracing of the subframe to allow rosette welding of the internal features, these plates are used to cap the holes cut in the boot floor. required for cars built before early 2000. 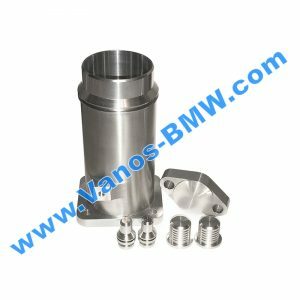 E46-sub-006 – Qty.2 Spacer plates to accommodate the change in the floor thickness, they ensure seamless fitment of the differential carrier front support. essential do not forget to instal these. 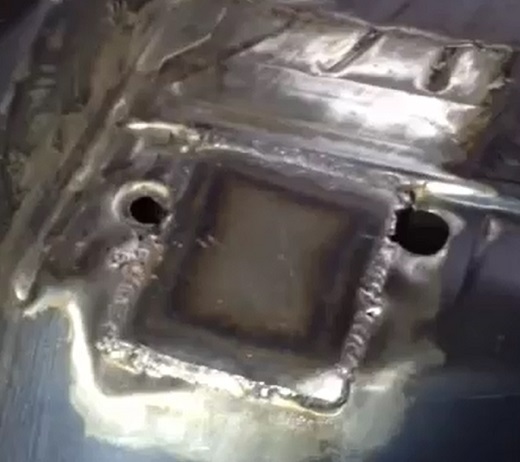 these fit on the chassis/floor in between the 2 front mounts you’ve just welded (just about visible in the right corner of the 004-plate picture above). 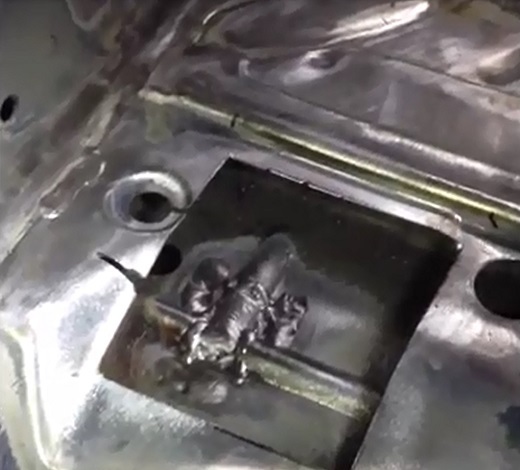 you can either tack weld them to the floor (our preferred method) or push them in as spacers before you install the support and bolts (more tricky). 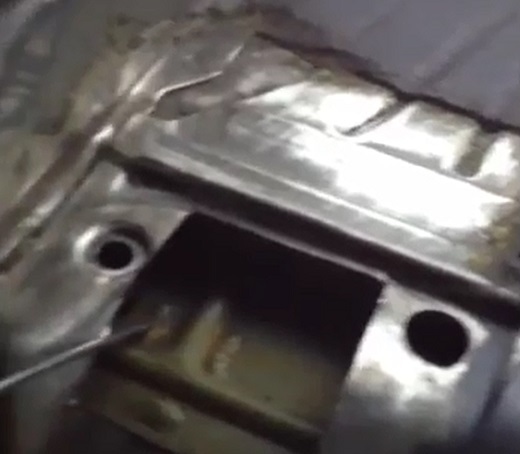 just to clarify, these are not reinforcement plate and do not strengthen anything, they are just spacer plates. 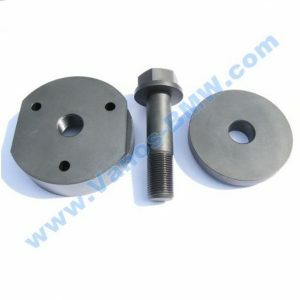 The plates are manufactured from 2mm thick automotive grade mild steel, or CR4 as it is professionally known, this is a low carbon steel, which is classified by British Standard BS 1449 and has a Tensile Strength of 270/410 N/MM² Min and a Yield Stress of 280 N/MM2, which makes it significantly stronger than the OEM Subframe material. 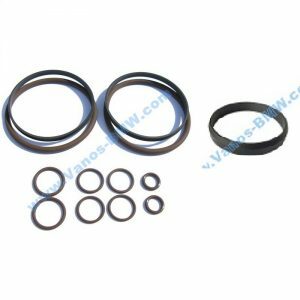 Our kit is significantly larger than any other available kit other manufacturer, which allows them to dissipate the torsional stress loading and unloading into the subframe over a greater area, eliminating the risk of cracking/failure. This also helps repair the floor either side of a crack and spreads the unloading or pulling force in a downwards motion. 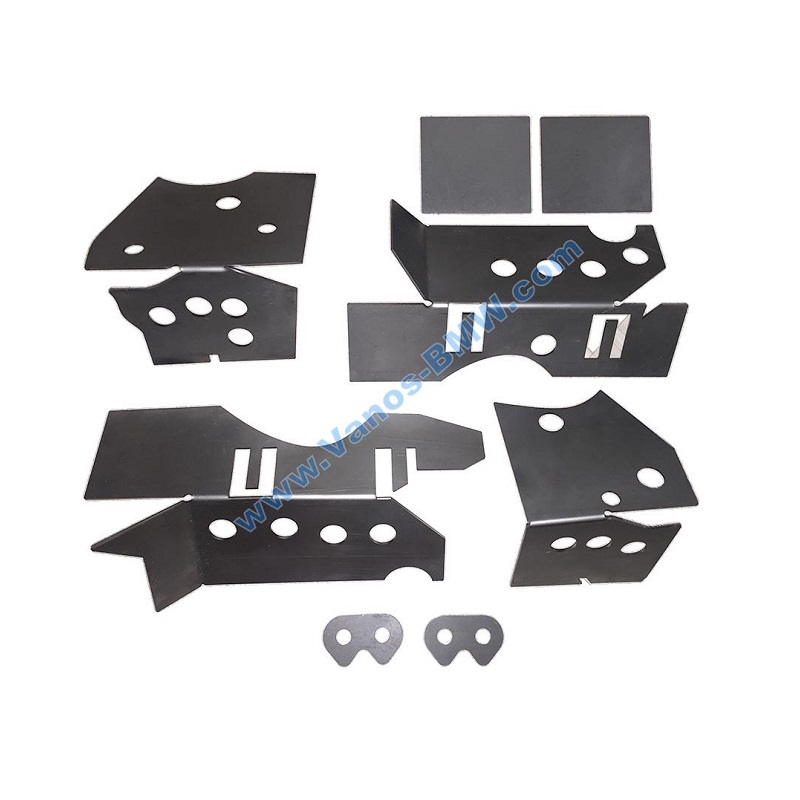 We believe the only satisfactory method for installation of this kit is welding. Whilst a competent welder should be able to fit this kit, the removal of the rear axle assembly and fuel tank is required and so we would recommend only qualified professionals attempt installation. 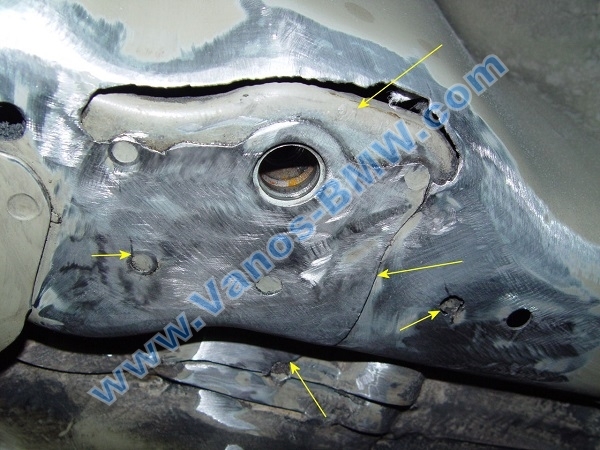 For a long time the owners of BMW E46 complained about the damage to the body in a place of fastening elements of the rear beam of the E46. 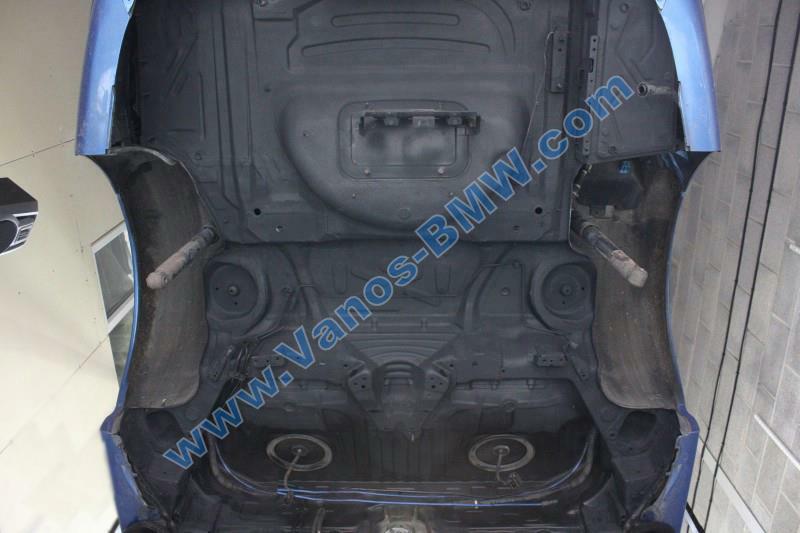 A bit of theory: the rear axle Assembly on BMW E46 serves to transmit power to the wheels to set them in motion, and has in its design a beam (or E46 subframe). 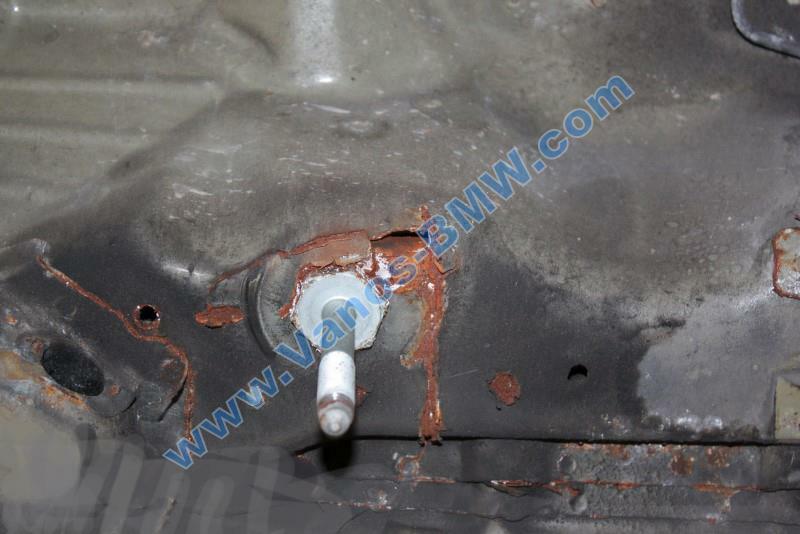 Damage to the body occurs at constant stress, causing the metal to deform, and appear on the BMW e46 cracked. Voltage can be generated at sharp starting off towing a trailer, extreme manner of management etc. 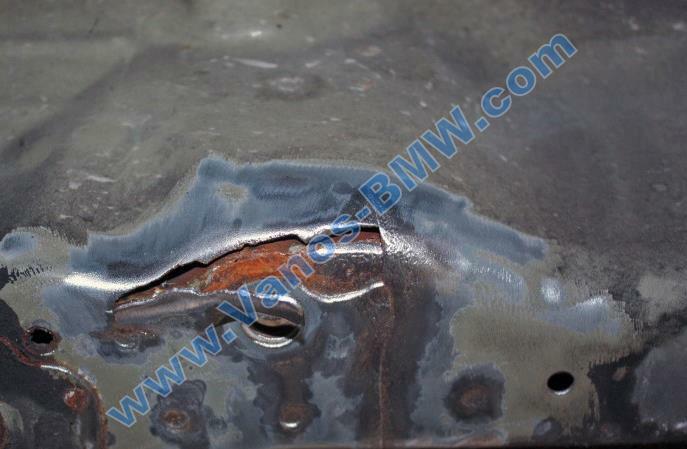 Company BMW examining this error, I came to the conclusion that the problem of insufficient number of welding points and prepared for these breakdowns and special maintenance. 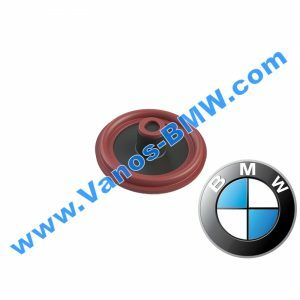 The recommendations of the BMW plant are as follows: in cases where the crack at least 20mm should fill in the area left rear beam mounts E46 rear axle using a special foam; in more advanced stages with cracks in the back of a 20mm, you can replace the insert for rear axle beam BMW E46. 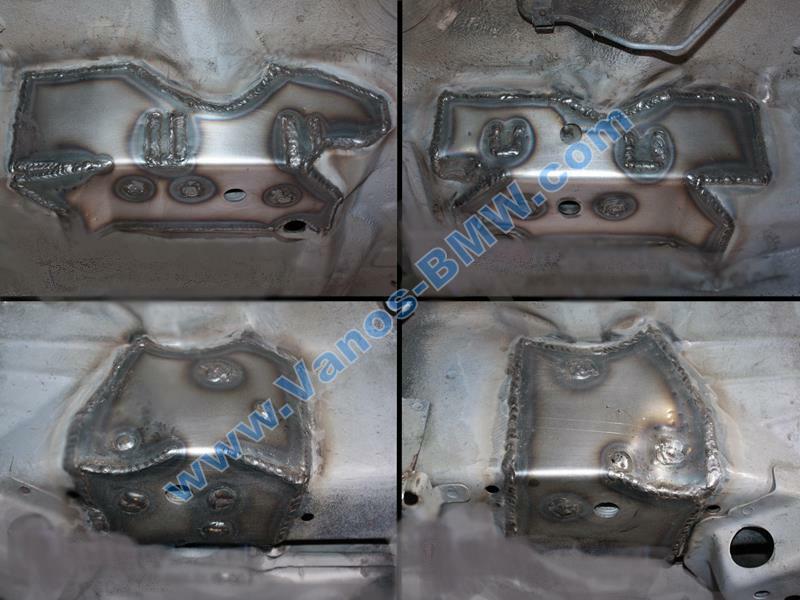 Our company produces and sells a special kit to reinforce a BMW E46 rear subframe. 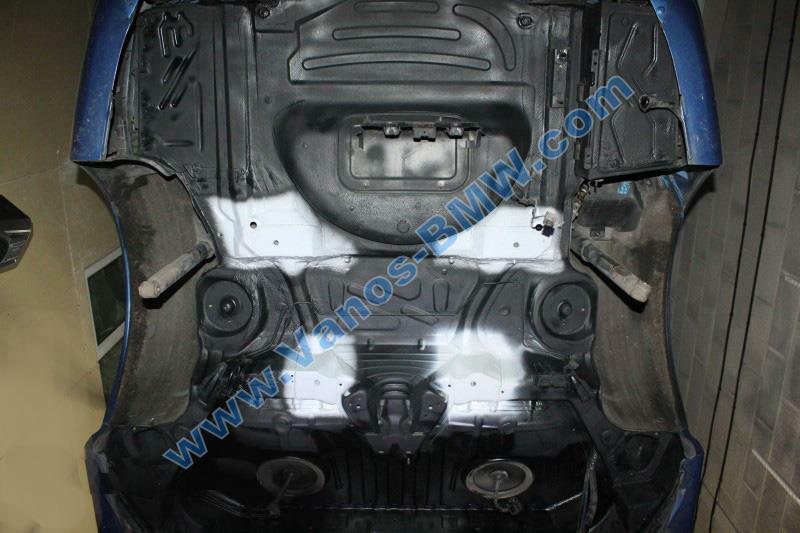 Strengthening the rear beam BMW E46 this is the best way to eliminate the problem of cracks and increasing of the rear axle. 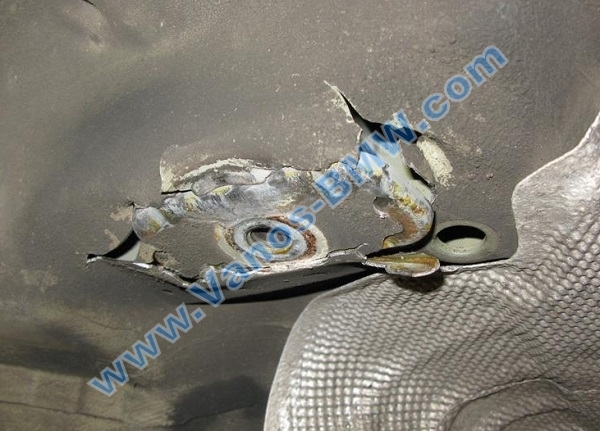 Moreover, such maintenance can be done on the car BMW E46 of any age and with any mileage. 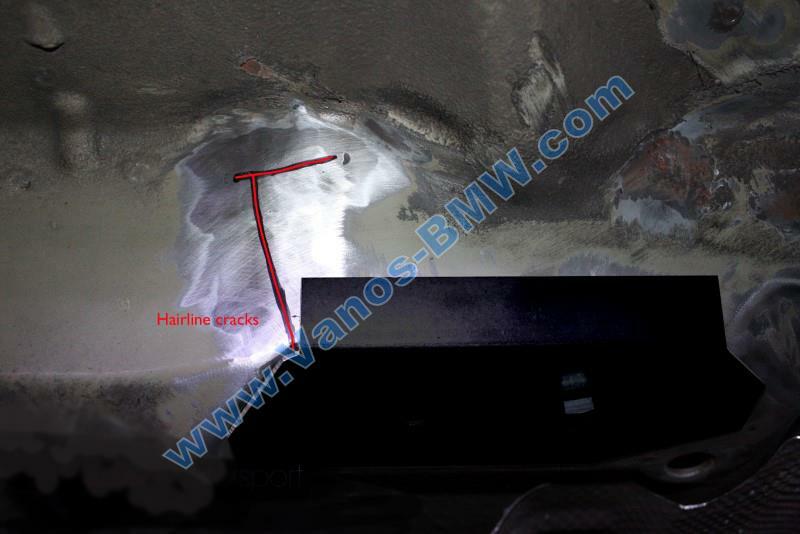 As well as strengthening e46 rear beam on this type of cars is recommended as a preventive measure, while the cracks have not had time to appear. 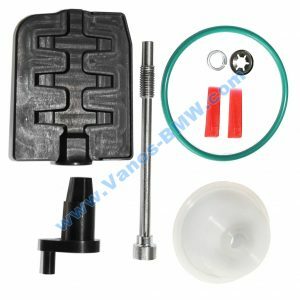 This kit fits all models of the E46 BMW 3-series. 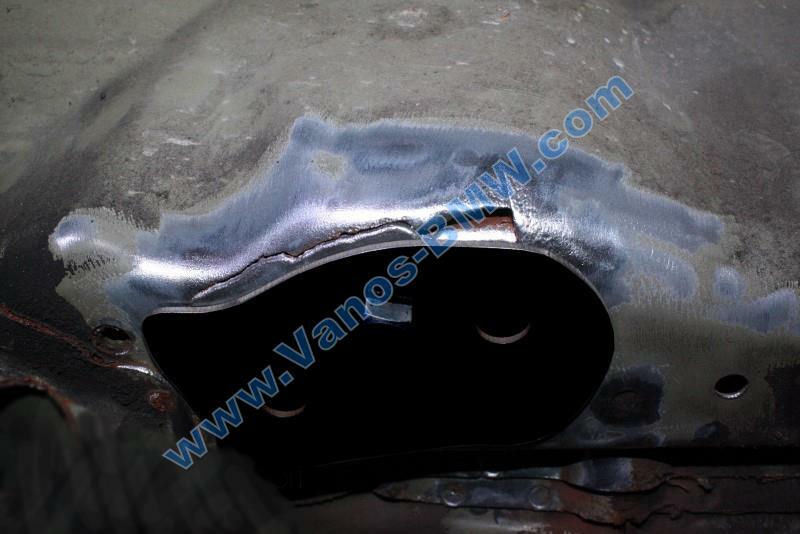 Plates supplied are welded in place the largest loads and thus it is amplified. 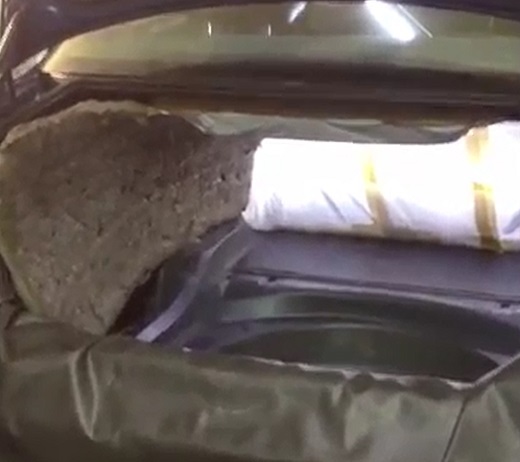 Due to quite large sizes by using plates, you can strengthen the most vulnerable places during movement properly distribute the load, thereby preventing the appearance of new cracks. 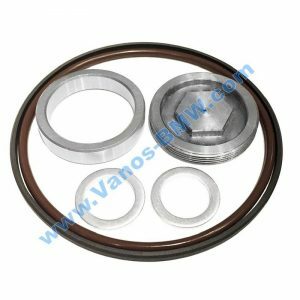 The set includes 8 plates, which are made by laser cutting, they are highly durable. 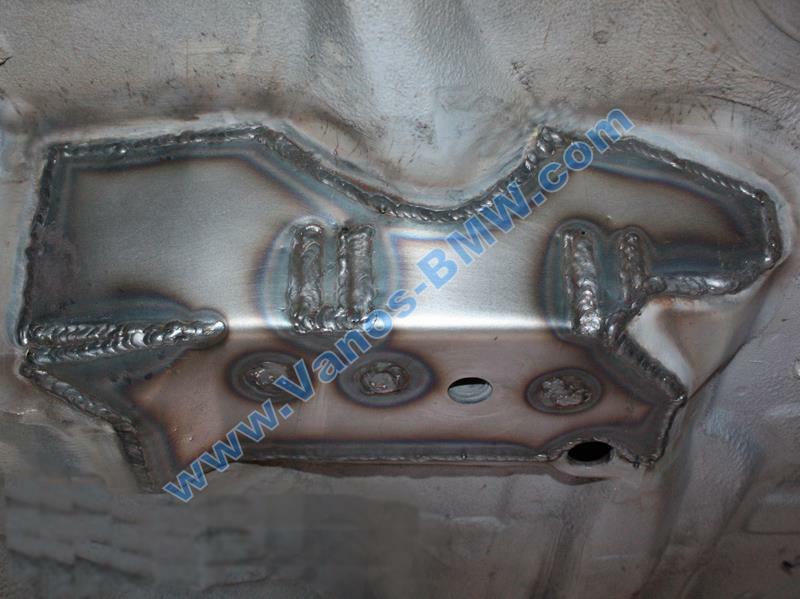 Also the plates have the function of bending to the desired angle, to repeat the contours of the subframe BMW E46. 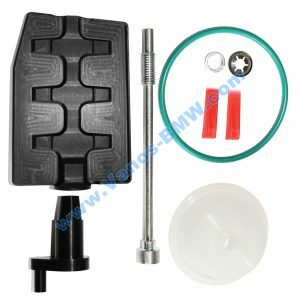 For E46-005 – 2 PCs is Used as needed. 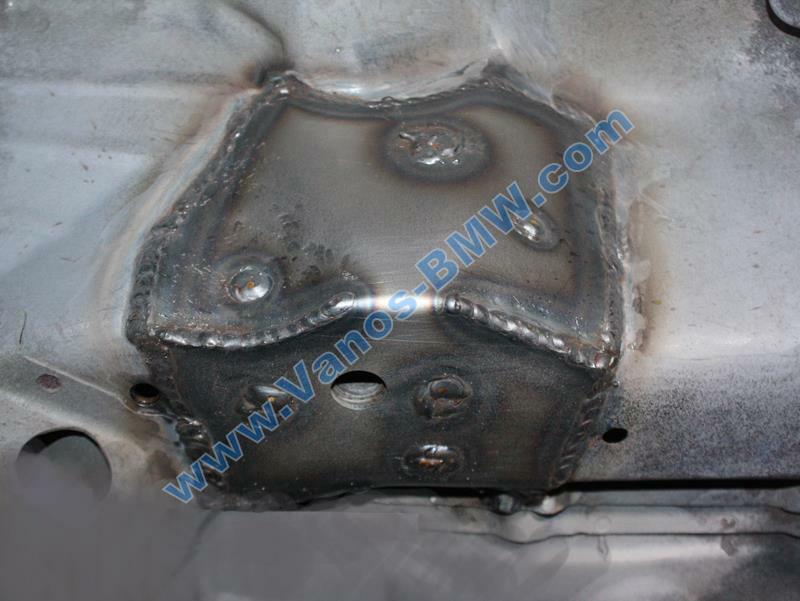 In the floor of the automobile trunk cut a square plate to get to the inner parts of the subframe. Next, you need to boil the scene of the fixing cut part of brewing with a square plate. 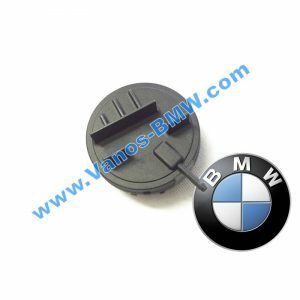 This applies to vehicles up to the beginning of 2000.